The program is aimed at university students who are interested in pursuing a career in computational science, applied mathematics, statistics, computer science, or the computational geosciences. SIParCS goal is to make a long-term, positive impact on the quality and diversity of the workforce needed to use and operate 21s t century supercomputers. 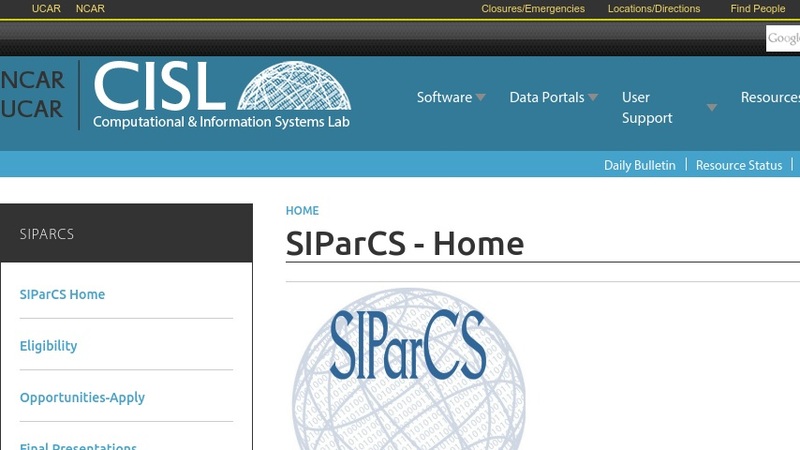 To this end, the SIParCS program can offer exceptional students a wide variety of experiences with a diverse collection of HPC equipment, software development projects, parallel computational science problems, and analysis of data and numerical methods. All these projects are tied to the HPC systems and activities that support NCAR's scientific mission.